Right by San Marco Square. View & book the room type that best suite your needs. 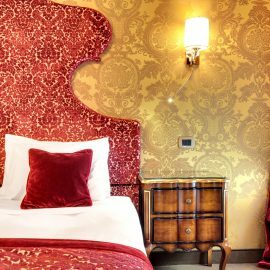 Hotel Casanova is located less than 50 metres from St. Mark's square. Internet wi-fi connection is available in public areas free of charge. All rooms are provided with TV-sat, mini-bar, air-conditioning, telephone, hair-drier and safe. One of the few properties in Venice to have a lift for its guests. Lovely hotel and easy to find! 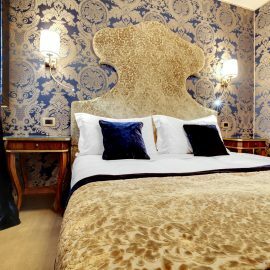 Booked into at last minute and got a great room with a king bed and large chaise lounge. 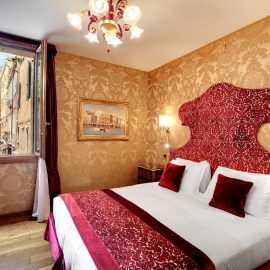 Very clean and near San Marco square so easy to locate in the confusing maze of Venice as well as a good bargain. Lovely hotel in fantastic location. Lovely hotel in amazing location. Less than 5 minutes walk to San Marco Square and vaparretta stop for port, airport and visiting other islands. 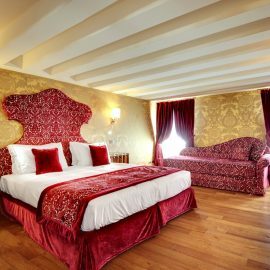 Very comfortable rooms with good sized ensuite. Lovely breakfast. Although the hotel is very central we found it very quiet at night.